← Why is compost needed in Payson gardens? 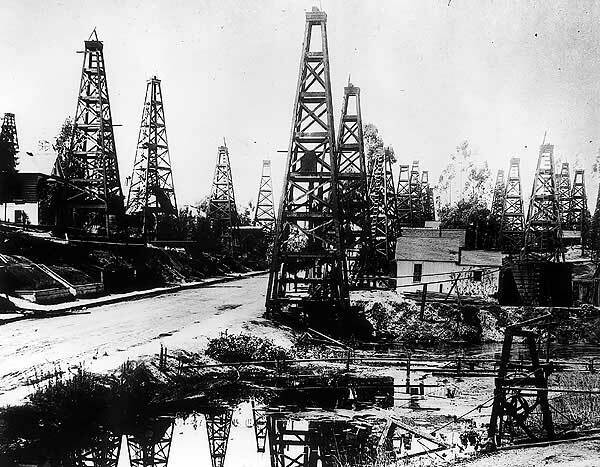 What is this thing called “Peak Oil” and whats it got to do with Climate Change? Have you ever given it any thought that our oil supply might run out one day? If you look at the different energy sites, there are various thoughts on when it might occur, but all sites agree that it will. The estimates of when oil might run out depends on how much we use, how much we are willing to spend to search for new sources and how efficiently we conserve. The possibilities are many. Generally speaking we probably have 100-200 years of easily produced oil left to use on this planet. Most of us have never lived without plentiful electricity and gas to run our homes and cars. Wake up and pay attention people. Our Great Grandparents and some of our Grandparents knew what it was to not have electricity or even indoor plumbing. We have certainly become civilized since those days. Our production and thirst (or should I say addiction) for cheap oil is well documented in the rise of the oil barons and the current mega corporations and Sheikdoms that have profited tremendously over the past 100 years. But at what cost you might ask. The biggest issue we should be concerned with is that Carbon Dioxide (CO2) is increasing at an unnatural rate in our atmosphere. Wars have been won and lost in strategic regions and mega dollars spent on pipelines and the search for the ever harder to find supplies of Black Gold, Texas Tea. Earth at a tipping point – The problem with CO2 as many climate scientists state is that there’s too much of it. Recently the National Oceanic and Atmospheric Administration (NOAA) published that the 400 ppm of CO2 was finally measured at the Arctic station they collect research from. This is far above the 280 ppm CO2 that was measured in the pre-industrial world and considerably above the 350 ppm that climate scientists have said was a crucial point in tipping the scales on climate change. Carbon Dioxide levels are going up 2% each year! Review the NOAA publication on CO2 levels in the link below. The use of fossil fuels, both coal and oil is ever increasing as many of the 2nd and 3rd world nations improve their infrastructures and develop their economies. China is said to build two new coal burning power plant every week, and their CO2 output will equal what the rest of the world produces by the year 2030. See the link below that WiredScience published in 2008! The recent heat waves that we have seen in America over the past two years have written many new weather records. James Hansen from NASA in an interview with PBS relates how climate change is ever increasing the frequency of extreme weather. 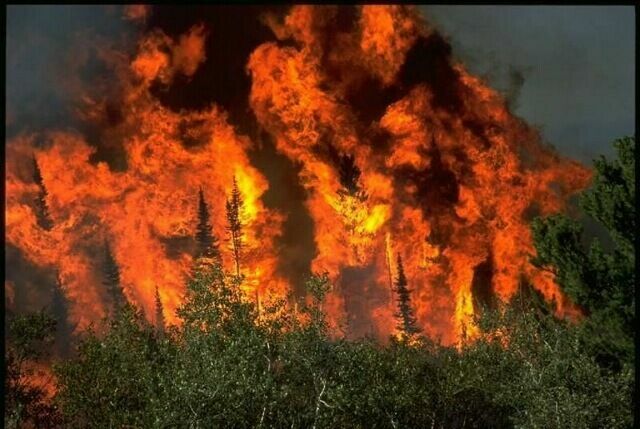 Large Mega-Fires are becoming a usual occurrance with tremendous losses to forests and private properties. The Wallow Fire in Eastern Arizona which burned over 500,000 acres in 2011 is a prime example of what happens in an extended drought. So what are the costs for us when this type of erratic weather hits. Plenty! The September 2012 issue of National Geographic (What’s Up With the Weather) wrote a pretty good summary of what the costs of the recent disasters have been. From 1980-1995 there were 46 declared disasters causing a minimum of 1 billion dollars worth of damage for a total of 339 billion! However, from 1996 to 2011, there were 87 disasters over 1 billion dollars that totalled 541 billion in damage!!! Climate change can be thought of more like climate instability. The droughts are longer and hotter and the storms are larger and wetter! Future Scenarios of Oil Useage and Climate Change! The IEA is an autonomous organisation which works to ensure reliable, affordable and clean energy for its 28 member countries and beyond. The IEA’s four main areas of focus are: energy security, economic development, environmental awareness, and engagement worldwide. Founded in response to the 1973/4 oil crisis, the IEA’s initial role was to help countries co-ordinate a collective response to major disruptions in oil supply through the release of emergency oil stocks. For a link to their site and the full article see below. What can we do? – Needless to say our governments are reluctant to delve too deeply into encouraging or requiring clean forms of energy. There is definitely progress in the solar, wind and geothermal areas. Incentives have been helpful. It is an unpopular topic however to use governmental funds in that way, especially around election time! So people once again its up to us to try to help ourselves. Many feel that buying cars that are hybrids or cars that get great gas mileage is one way to do it, others say that purchase locally, grow our own food, reduce, reuse and recycle will help. These are certainly good efforts that we should strive to attain. Unfortunately while this all sounds good, there are scientists and blogsters out there that say even that is too little too late! We need Political leaders in this effort that understand the science behind Peak Oil and Climate Change, we need to be political and hold our politicians accountable. To do this we need to become better informed, we need to keep writing and telling them how we feel. We need to make a difference. This entry was posted in Alternative Energy, Climate Change, Economics, Environment, Political Action and tagged Climate Change, Peak Oil, Political Opinion. Bookmark the permalink.